In a conference call last week, one guy dropped the biggest bombshell so far in the 2016 GOP race — Mitt Romney isn't running for president. But is it really the end for Mitt? Probably not. The former nominee isn't too likely to take a back seat as this election moves forward. With the only living Republican presidents abstaining from the limelight, he could serve as sort of father figure to the Republican Party. He certainly knows the race well, as a two-time veteran, and his advice could be valuable on how to bring a Republican to the White House — after all, he's learned the lessons on how not to do it. Mitt Romney will never stop advocating for renewing America’s promise through upward mobility, encouraging free enterprise and strengthening our national defense. Mitt is a patriot and I join many in hoping his days of serving our nation and our party are not over. I look forward to working with him to ensure all Americans have a chance to rise up. The two political heavyweights met not long before Romney decided to bow out of the race. Maybe they talked about a possible endorsement? But maybe not, considering Mitt mentioned the need for a "next generation of Republican leaders" as he ended his maybe-possible-we-thought-so-bid. So perhaps Scott Walker or Marco Rubio could be that younger leader. Typically, former nominees get involved. For example, just one day after Romney won the Iowa caucuses, the GOP nominee before him, John McCain issued an early endorsement. If Romney chooses to endorse someone in the primary field, it might be the most sought after stow of support. The Wall Street Journal speculates that whomever Mitt chooses to endorse will likely reap the benefits of would-have-been Romney donors. A little extra cash could be useful as The Hill reports that the 2016 race could cost $5 billion — over double the price-tag of the 2012 race. Given Romney's interest in possibly running a third time, it's doubtful he will completely excuse himself. He'll likely spend time considering his options and the role that he would like to play in the upcoming election. But more importantly, shopping for whom he might like to invest his time to campaign for — if he thinks anyone is even worth it. 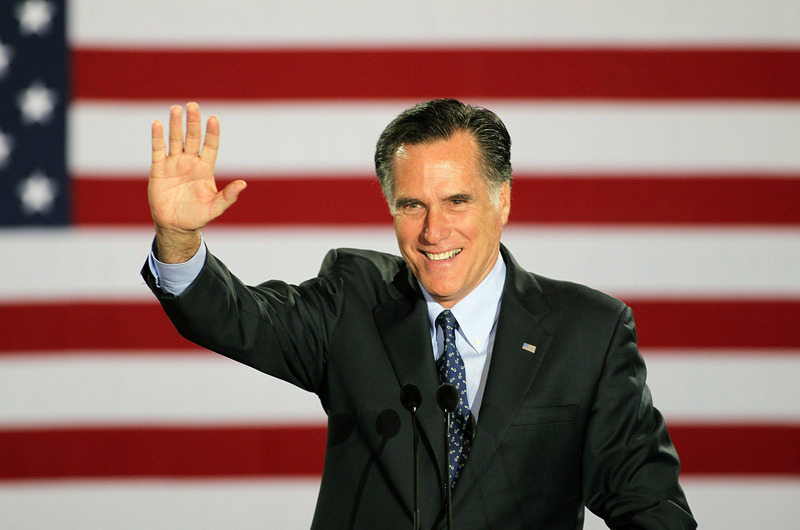 As the only real constant in the Republican Party, Romney could still be an influential player, despite having given up his presidential ambitions.